Thank you for choosing Flint Holiday Cottages for your holiday. We don’t like writing lengthy terms and conditions but they are there to protect both you and us so please read them carefully, and if you are happy to accept them and wish to make a booking just let us know your name and address and we will provisionally reserve your chosen dates for you for seven days to allow you time to send us the deposit payment. A written form will be sent to you for your signature. 50 % of the tariff for the period is payable immediately to reserve your booking, (this amount is non- refundable) the balance to be paid one month before your arrival. This allows us time to re-market the week/s should you have need to cancel. Bookings made under special offer or discounted tariff must be paid in full at time of booking, bookings made within 6 weeks of the arrival date must also be paid for in full at the time of booking. In the event of cancellation, we will refund the non-refundable amount paid if we successfully rebook the period, less a 10 % administration charge. PLEASE NOTE refund does not apply if cancellation made within 6 weeks of arrival date. Bookings made under our “early booking” offer for the next holiday season may be reserved with a deposit of £100 per week (£50 pw for previous guests) with nothing more to pay until December of the booking year. We will only cancel your holiday due to exceptional circumstances outside our control. We would however try to locate acceptable similar accommodation but if this were not possible all monies paid by you will be refunded in full. Our liability would not extend beyond this refund. Payment may be made by cheque (payable to M Flint) or BACS to our account, (we do not currently have the facility to accept card payments). You are entitled to occupy the property for holiday purposes only and this agreement shall not confer on you any security of tenure within the terms of the Housing Act 1988 pursuant to which the occupation shall be deemed to be by way of an excluded tenancy. No more than 6 persons may occupy each cottage plus cot unless agreed otherwise. PLEASE NOTE minimum age requirement: the hirer and at least one of the party (if different) must be aged over 21 years. The use of any equipment or facilities at the property which is not in our ownership is at the risk of the hirer – we will not accept responsibility for loss or injury to guests or third parties or to loss or damage to belongings or vehicles whilst at the property. Guests are expected to take all reasonable care of the property and the contents. All equipment, utensils, etc. must be left clean as found on arrival and the property left clean and tidy on the day of departure. We do not, unlike many holiday companies, ask for a damage deposit to be paid pre arrival. However, we reserve the right to invoice the hirer within seven days of departure for exceptional damage and or cleaning costs. 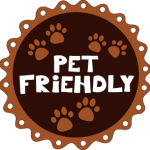 Pets (if permitted as agreed in advance) are the responsibility of the guest and must be kept under strict control at all times so as not to cause annoyance or nuisance to neighbours. Any damage caused by pets must be reported to us immediately and the guest is responsible for any cost incurred thereof in excess of £20. Please also see our “Dog Policy“ terms as a condition of booking with your pet/s. Smoking in the properties is not permitted under any circumstances. Guests are welcome to smoke in the gardens, however please dispose of butts safely. All bed linen, bath and hand towels and tea towels are provided within the tariff quoted (with the exception of cot bed linen) unless agreed otherwise. Tariff is inclusive of heating & electricity costs. WI FI (provider BT) is provided free of charge for personal use only, however broadband connection cannot be guaranteed. Under no circumstances are fireworks of any sort to be let off at the properties. Right of Entry – guests are required to allow access to enter the property at all reasonable times for the purpose of necessary repairs or in a case of emergency, notice will be given where practicable. Whilst we take every care to ensure your stay is an enjoyable one, occasional mistakes or oversights do occur so any dissatisfaction with your accommodation must be communicated to us during your stay so that we have opportunity to put matters right. The property is normally available from 3 pm on the day of arrival, and must be vacated no later than 10.00 am on the day of departure (unless times advised otherwise at time of booking ) to allow adequate time for cleaning. Sunday departures may usually be allowed at a later time. We strongly recommend that guests have their own travel insurance to cover cancellation /loss of deposit and personal effects. When a booking is offered we draw your attention to these terms and conditions and once the booking confirmation form is sent to us with the required payment it is taken that these terms and conditions are accepted by the hirer.